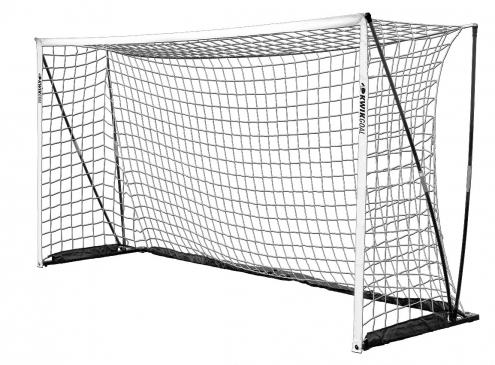 There are no secrets about the importance of a keeper in Soccer. While strikers attract the headlines and record transfer fees, the back bone to a successful club begins with the player between the sticks. With a sport that is simplistic in its equipment demands, the most significant piece for the most important position, are the gloves. 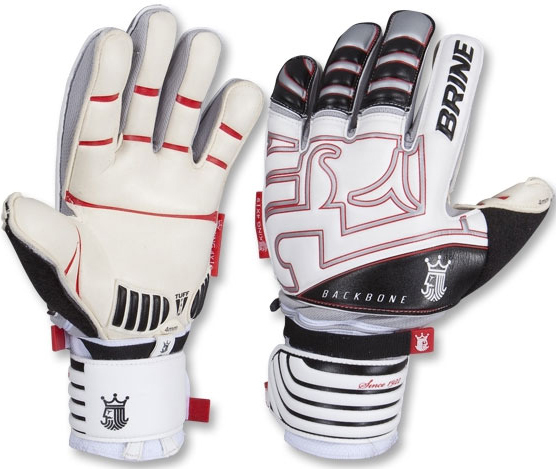 Designed to provide protection, grip, and confidence; a good set of goalie gloves are worth their weight in gold. 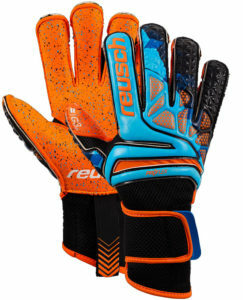 Most keepers will test out several types of gloves in their pursuit of the right ones. And once they find a brand they like, they become incredibly loyal for years to come. This exact tale transpired for goalie Hugo Lloris. As the Captain of his club team Tottenham Hotspurs and national team France, he knows a thing or two about stop the ball. During his academy days, he had experimented with various styles and brands of gloves. He soon fell in love with a particular pair, and has since then stuck with them through thick and thin. With a combined 459 appearances for his club and country, it’s safe to say he has depended on his gloves on more than a few occasions. 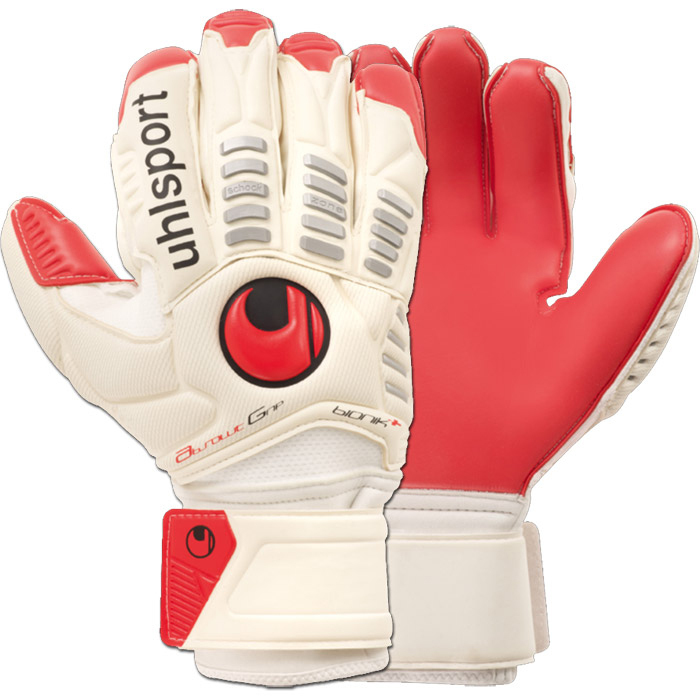 Regarded as one of the top goalkeepers in the world, it’s no wonder Uhlsport has made him the face of their brand. 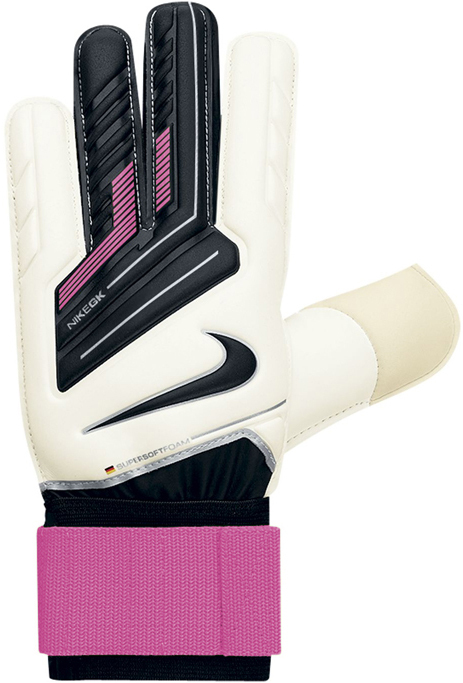 Hugo began to wear Uhlsport gloves in the early 2000’s during his time spent in the OGC Nice academy. Over a decade later, he still depends on them to provide him the confidence he needs to perform on the biggest stages. 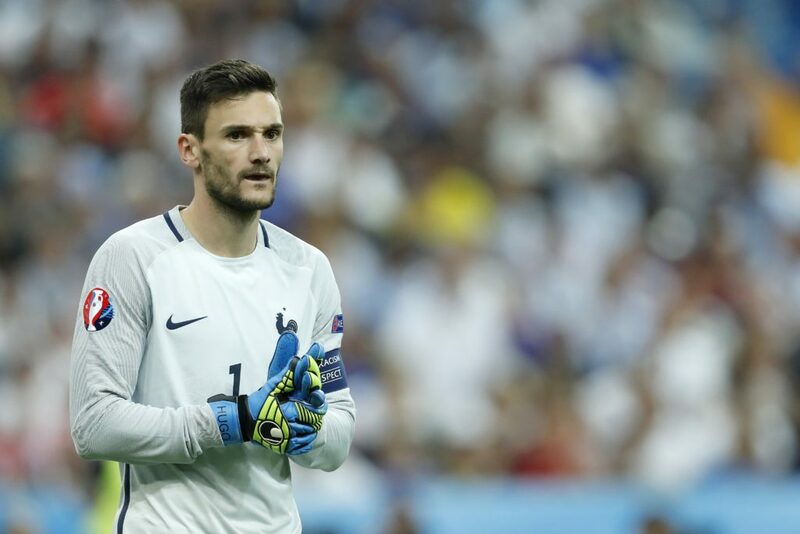 During the 2016 UEFA EURO Cup final with France, Hugo debuted the Uhlsport Eliminator SuperGrip in his signature Black, Blue, and Green. 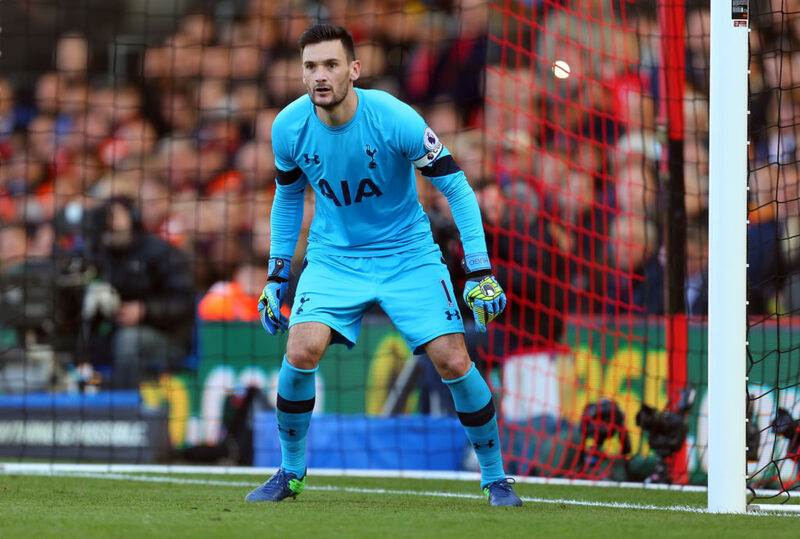 He has since continued to wear them for his matches with the Tottenham Hotspurs, where he has accounted for 10 clean sheets and allowed the least amount of goals among regular starters. What makes these goalie gloves so special is the SuperGrip foam used in the construction of the palm. It’s designed specifically to provide remarkable grip in any condition, which has been beneficial for the rainy conditions of the U.K. 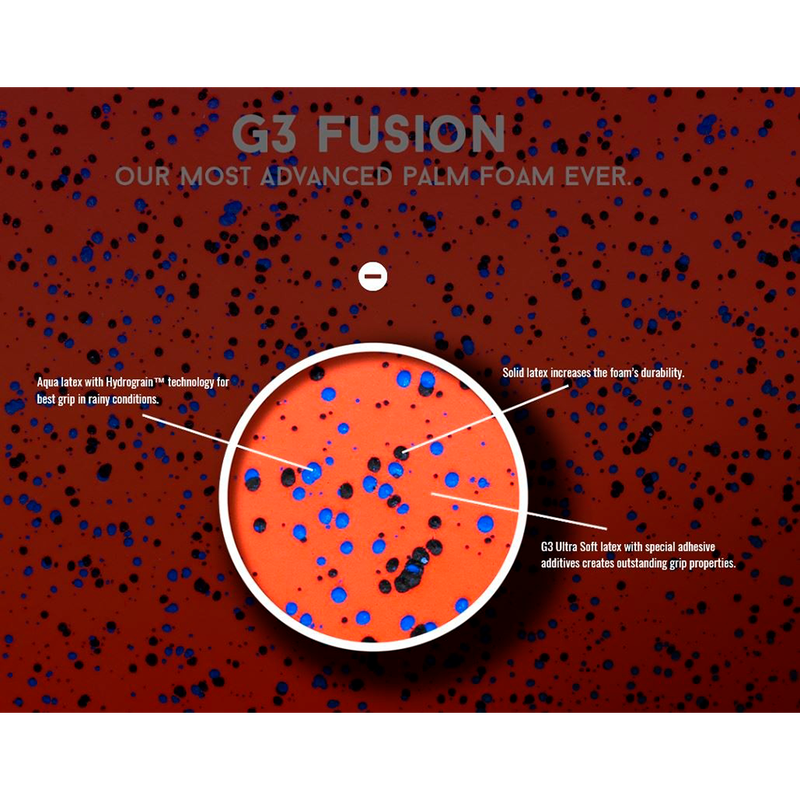 They also feature a silicon and high frequency latex backing with a 3D-embossed SCHOCKZONE. 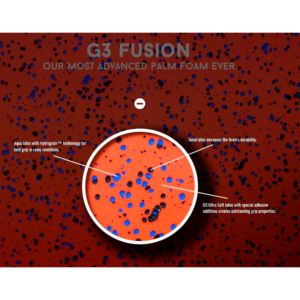 This allows the high rebound foam on the back of the hand to enhance the punching performance and provide additional protection. 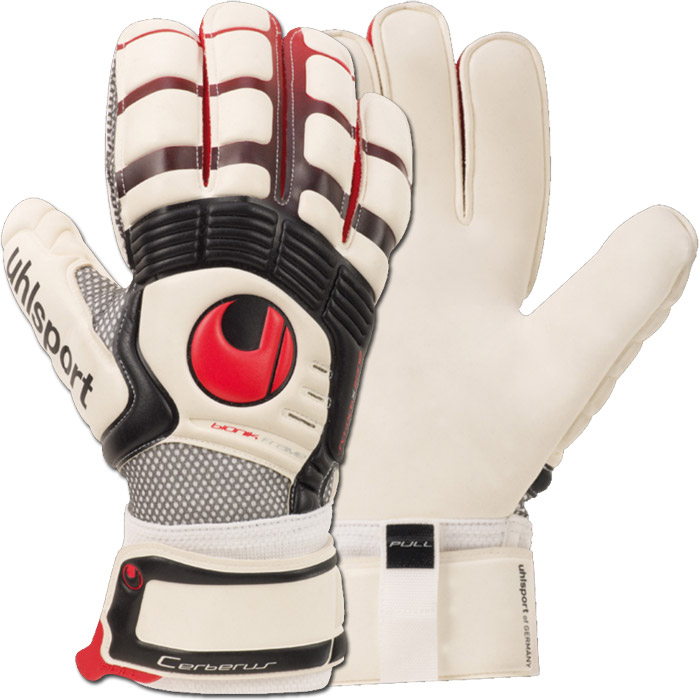 Complete with Uhlsport’s Easy Entry System and 360 wrap, a secure fit is effortlessly achieved with this glove. 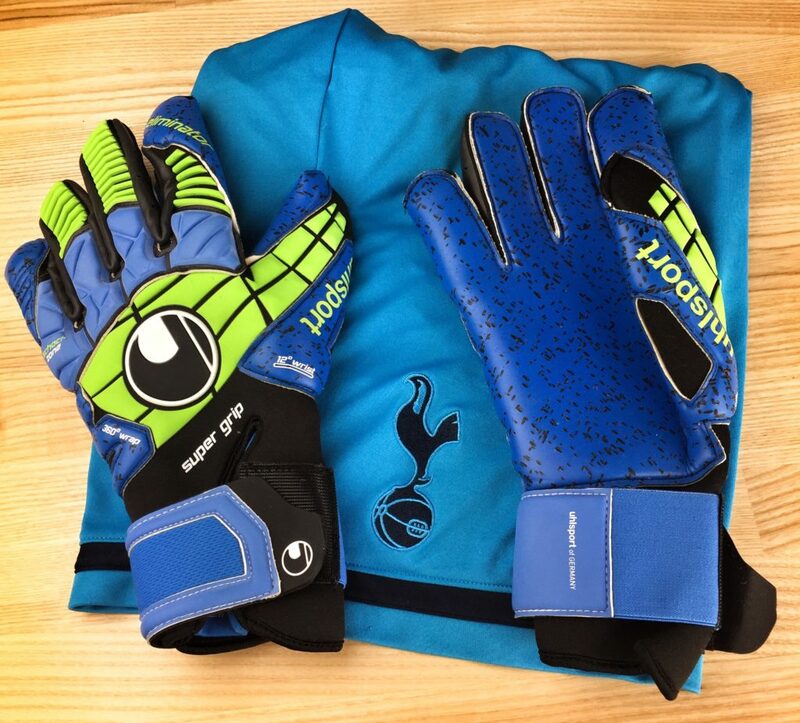 While a great pair of goalie gloves isn’t the only thing that makes Hugo Lloris such a formidable present in goal, it’s certainly doesn’t hurt. 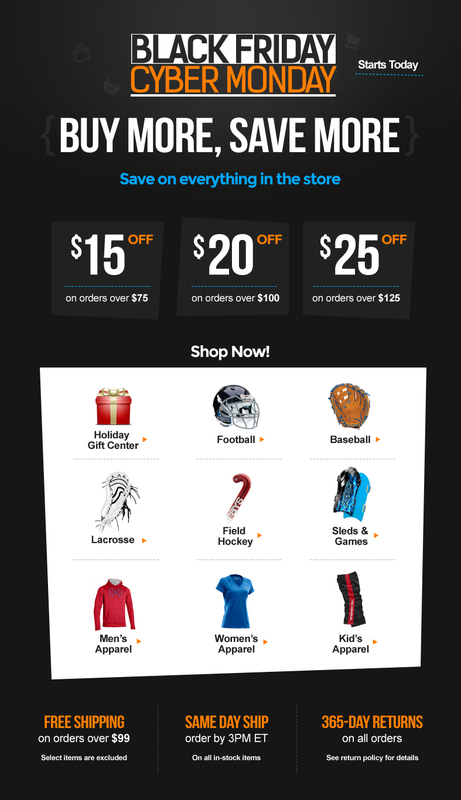 Gear up with all your goalkeeper needs at Sports Unlimited. 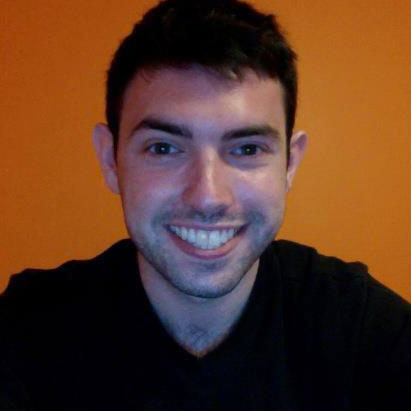 Who Should I Root for in the 2014 Soccer World Cup? If you’re like myself and many other Americans, you may not know very much about soccer or the World Cup. However, you don’t want to be left out. Did you know that the World Cup is estimated to draw approximately 1.3 billion viewers worldwide in the final match? Compare that to the Super Bowl’s 110 million viewers. Wow! Let’s have a little fun with this whole World Cup thing. This creative flow chart will help you decide exactly who to root for or will just make you laugh. The first match is this Thursday, June 12th and with the championship game being held on July 13th. 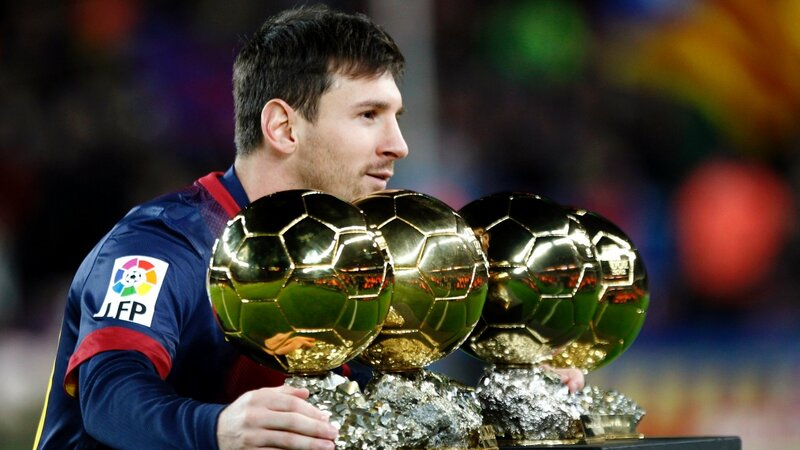 Author AdministratorPosted on June 9, 2014 October 2, 2014 Categories SoccerTags brazil 2014, brazil world cup, flow chart, world cup, world cup 2014Leave a comment on Who Should I Root for in the 2014 Soccer World Cup? Next season we’ll be seeing what has now been hyped for quite a few years. Neymar will be playing in Europe and to the chagrin of Madrid, he will play alongside Lionel Messi at FC Barcelona. The Brazilian phenom is 21 years old and has the offensive prowess of hmmmm, I don’t know, Leo Messi or Cristiano Ronaldo. He may not yet be in their realm of quality, but he soon will be in their local realm and hopefully will use the opportunity to learn from two of the greatest players alive as a teammate and as a rival. Neymar will leave Santos, his boyhood Brazilian club, for the big stage. This should excite soccer fans around the world; to see this young superstar play on field with the likes of Messi, Iniesta, and Xavi Hernandez. I have only seen the fun-haired Neymar sparingly in televised Brazil national games, but have watched highlights of the deft-footed and silky smooth forward on YouTube countless times. He doesn’t have a jersey number yet, but Blaugrana fans have been clamoring for jerseys ever since the news of his signing. The soccer season just ended in Europe, but Neymar to Barcelona is already prepping the world for an incredible and exciting year. Maybe it’s time for me to swap out my Barcelona, Ronaldinho jersey for another Brazilian? Luis Suarez bit an opponent, again. He also mesmerized with an assist and snagged a last-gasp equalizer to complete the Gordie Howe Hat Trick. As I watched the Liverpool Chelsea clash on Sunday and saw the same struggles Liverpool has dealt with all season, it seemed like yet another winnable match that they would, in the end, lose due to poor finishing and avoidable turnovers. That is not exactly how it played out. With a brilliant first goal from the Reds that was reminiscent of the glory days of the Kop, rather, the touches were so impeccable that there is nothing to which to compare it except for those brief moments of perfect football that before you acknowledge their existence, are gone to the land of replays. It wasn’t until after the converted penalty from Eden Hazard in the second half (given due to Suarez handling the ball in the penalty area), that Suarez bit Chelsea defender Branislav Ivanovic. It was shocking to see a player, and one of such quality, literally sink his teeth into another player. Both hands grasped the arm as if it were a turkey leg and he the guest of honor at a feast in the heart of the Dark Ages. It is hard to imagine that Suarez had an understanding of what he was doing as he began his descent into the flesh of another person because what could possibly be rationally going through his mind? 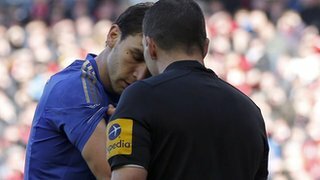 This is not even the first time he has bit a fellow player during a professional match. While playing for Ajax in the Netherlands, he was fined and served a long ban for biting an opponent. 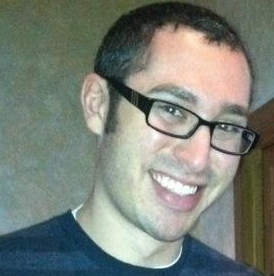 It seems as though, in our sad reality, he has a reputable history of biting players now. A fine from Liverpool FC will not do. Oh boy, Luis Suarez at his strangest. And of course, at his finest as he equalized in the 97th minute to deprive Chelsea of the vital three points. Do defenders need now wear protective gear for the flesh of their arms? What do you think? 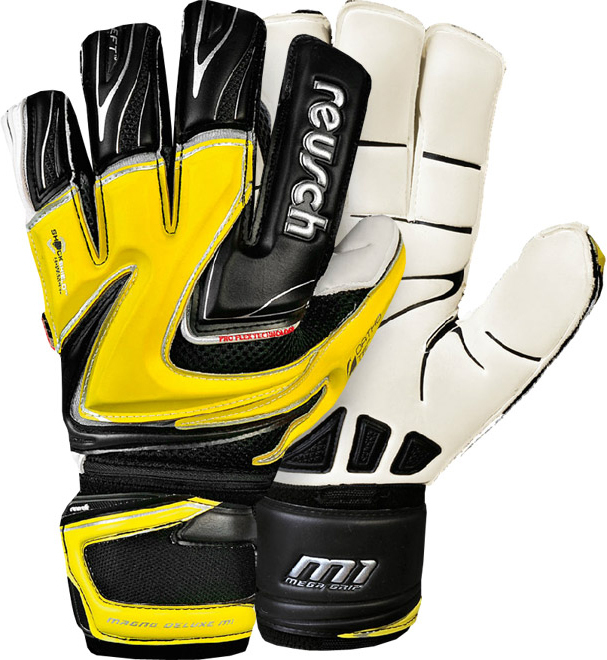 We’ve long believed that the difference between high quality and low quality socce r goalie gloves can have an immense impact on soccer goalies’ level of play. That’s why we make sure to find the best gloves out there so goalies can play their best, all while protecting their fingers from harms way. 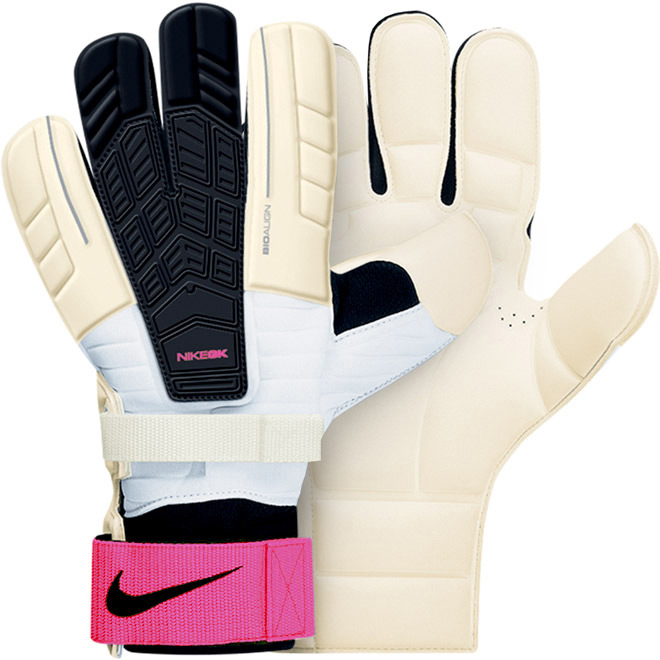 According to a recent ranking by Yahoo!, the best soccer goalie gloves available are the Nike Goalkeeper Spyne Pro Soccer Goalie Gloves, which you can find at SportsUnlimited.com. Buy them for only $59.99 at Sports Unlimited Inc.com . 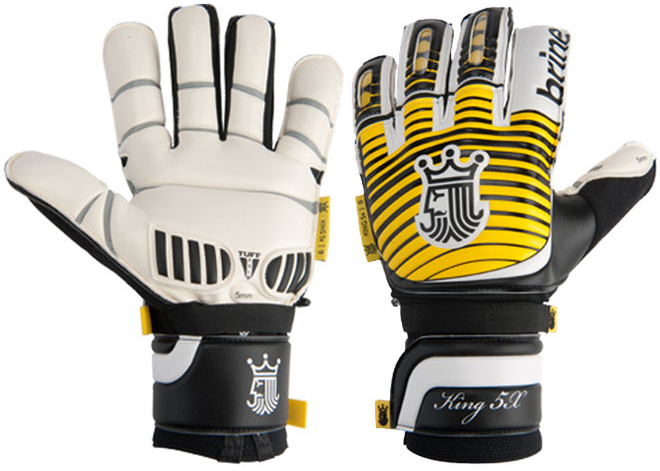 These gloves are available in sizes 7-9 for youths. With 3M shock absorbers and T90 Spyne finger supports for hand protection, your goalie won’t come home with aching or damaged fingers. 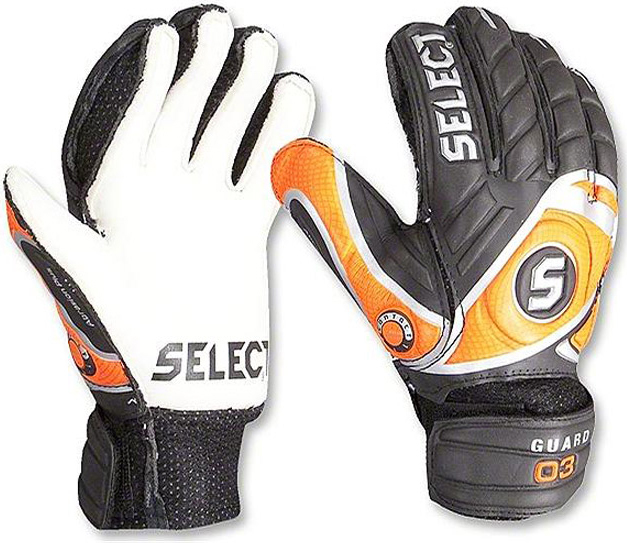 Find more great soccer goalie gloves and kids soccer goalie gloves at your soccer headquarters, SportsUnlimted.com. 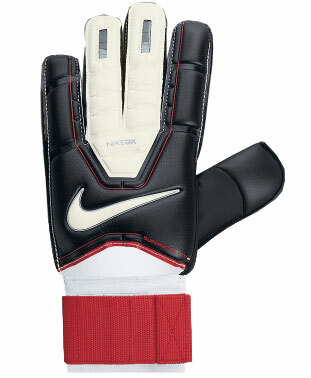 Note: The Nike Goalkeeper Spyne Pro Soccer Goalie Gloves are Men’s sizes, not youth. Today we embark on a new milestone here at The Sporting Goods – our first “Top Rated Product” post. Yes, I agree; it is very emotional indeed. Over time, “Top Rated Product” posts should become a staple on this blog. “What are they?” you ask? “Top Rated Product” posts will be pretty straightforward: they are posts about specific products that have been highly rated by customers who actually purchased the good. Think of it as your fellow peers offering a friendly recommendation of a product you were either unaware of or unsure whether to buy.